"How could it have disappeared!?" Netflix has debuted the trailer for the documentary titled Shirkers, which premiered at the Sundance Film Festival this year and won the World Cinema Documentary Directing Award. It was also one of the most talked about documentaries of the festival, and it will finally be arriving on Netflix (and in theaters) in later October. 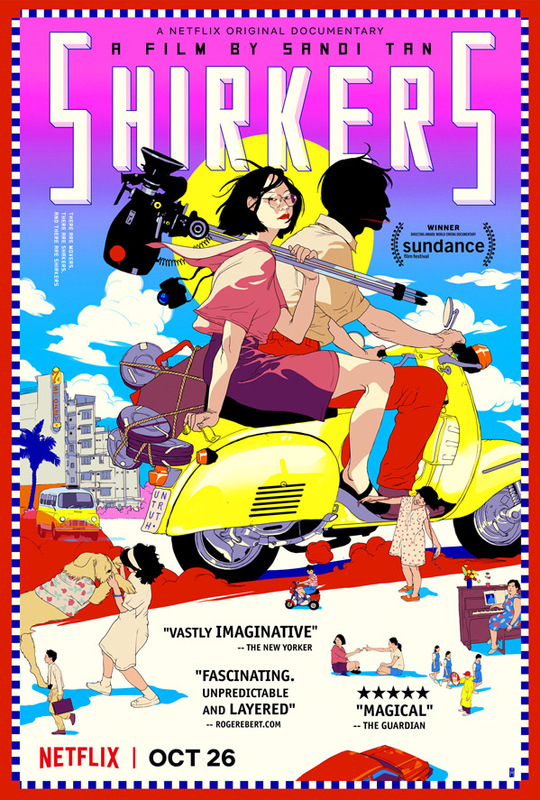 Shirkers is the story of a group of friends from Singapore who made a film in 1992. After shooting wrapped, their American mentor vanished with all the footage. Years later, Sandi Tan returns home to Singapore after discovering the 16mm film canisters in New Orleans, to confront the past and piece together memories. "A kaleidoscopic punk rock ghost story!" It's a hard story to describe, but apparently it's incredible to see how everything works out in this doc film. It is a must watch. Shirkers was a Singapore-made 1992 cult classic from teenage friends Sandi Tan, Jasmine Ng and Sophie Siddique -or it would have been, had the 16mm footage not been stolen by their enigmatic American collaborator Georges Cardona. More than two decades after Cardona disappeared, Tan, now a novelist in L.A., returns to the country of her youth and to the memories of a man who both enabled and thwarted her dreams. Magically, too, she returns to the film itself, revived in a way she never could have imagined. Shirkers is written, directed, and produced by Singapore-born writer / filmmaker Sandi Tan, making her feature directorial debut after a few shorts previously. This first premiered at the Sundance Film Festival this year, where Tan won the World Cinema Documentary Directing Award. Netflix will release Shirkers in select theaters + streaming starting October 26th this fall. For more, visit their official website. Curious?